It’s easy to get overwhelmed with a to-do list, especially if your business or home office is a one-woman-show. Knowing how to prioritize and when and where to spend your energy can make you your most productive self. How do you prioritize today’s seemingly never-ending to-do list? How should you plan for the tasks in the coming months? Here a few simple strategies on how to prioritize, when you feel like everything on your to-do list is a must. Write down anything, and everything that you can think of that needs to be done. Include daily items as well as things that may be far off goals. Write it all down and, then, start dividing it up. I’d recommend three lists. The first would be short-term items that need to be done within the week. Another should be items that have a little later deadline; say within the month. And, the third should be long-term goals. 2. Maintain your short-term and long-term goals. I maintain a short-term and a longer-term list at all times. Each day, I review my short list and star the things that are my goal for that particular day. Which things have a strict deadline? Which projects have you promised clients? Which items will make you money? Use these criteria to set the day ahead. Look at all of your lists and cross things off immediately that are unnecessary. Are there things you can delegate or might not need to do at all? 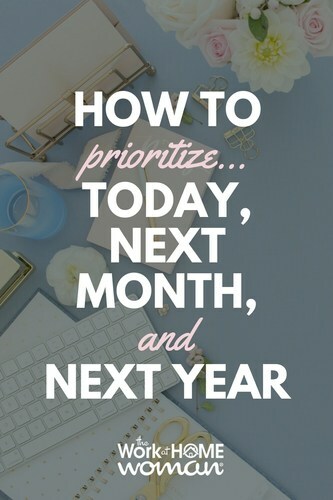 Get rid of these at the beginning and prioritizing will be a little easier. As the days and weeks pass, hopefully, the items on your second list will start falling onto the short term list automatically. If not, be sure that you are reviewing them often. Remember to be flexible, but also remember to be honest and don’t expect too much from yourself. Most likely, your long-term list will need to be broken down. It probably contains larger tasks, like plan next year's marketing budget. Break these more encompassing tasks into smaller, more manageable ones. For instance, next week could you research pricing for the marketing postcards that you want to order? 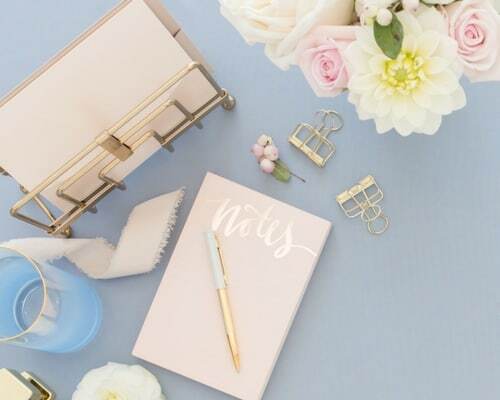 Taking pieces of these items and working them into your weekly to-do lists can make them seem less daunting. 5. Keep your lists handy and in sight. This isn’t meant to overwhelm you or continuously remind you of all you have to do. Instead, it’s intended to help hold you accountable. If your list is within reach, it’s easier to cross things off as you accomplish them. We are all human, and in addition to the many work responsibilities we have, we also have homes, children, spouses and many other things to care for. It’s important to look at the bigger picture when prioritizing work. Make sure that you are working toward an achievable balance and not bogging yourself down with stress and unrealistic expectations. And, it’s always important to schedule in time for yourself and breaks. Breaks are essential during the day as you work. A short walk or even a shower can help you refocus and come back to a project refreshed or with a new perspective. Don’t overlook the importance of downtime! So there you have it, six simple strategies on how to prioritize your work day. What tips do you have prioritizing your day? Drop us a note, we'd love to hear from you!